Concentrated Hydrochloric Acid, 16oz for sale. Buy from The Science Company. 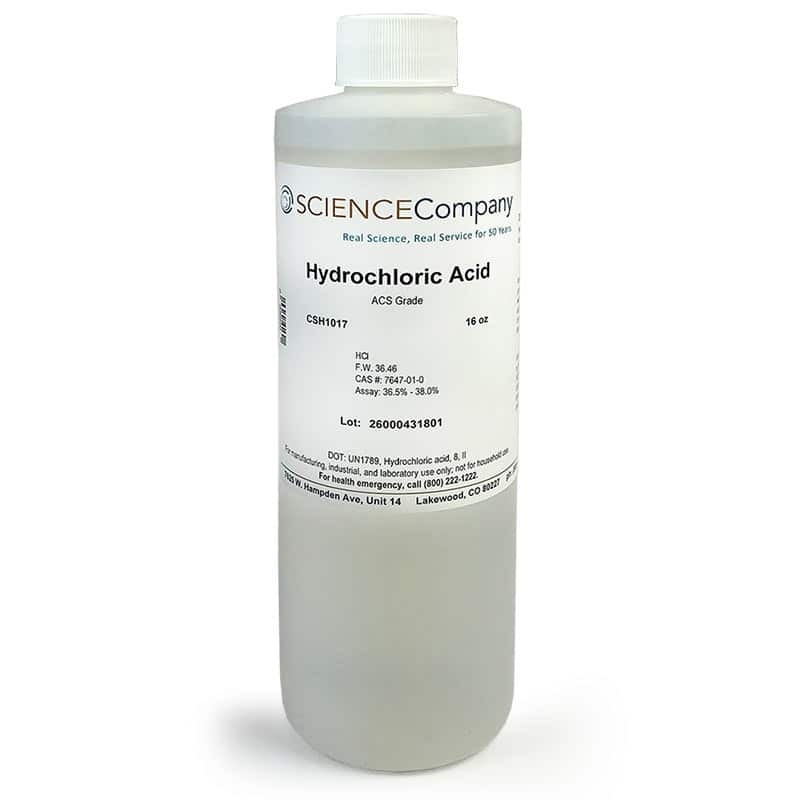 Concentrated hydrochloric acid (36.5-38.0%) is a colorless to yellowish pungent liquid. Hydrochloric acid is historically called muriatic acid. It is highly corrosive but noncombustible. Soluble in water, alcohol, and benzene. It is a strong irritant to eye and skin and fumes are harmful if inhaled. 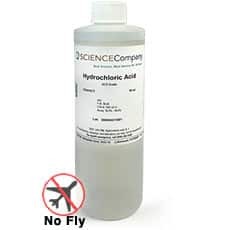 This 16 ounce size Concentrated Hydrochloric Acid only ships to destinations within the 48 contiguous US states and Canada using Standard Ground by FedEx or UPS • No air deliveries allowed • Customers in Canada should expect additional duties, taxes, and customs clearance service fees due upon delivery.